Your phone, your browser and, increasingly, your household appliances create immense data from their use. Now, your clothes are in on the game, too. Loomia, a Brooklyn-based textile company, creates smart fabric with multifunctional purposes. The fabric can change temperature, work as an interface by sensing touch and light up to aid visibility. The company also uses its smart fabric to capture important data about the wearer, such as how often she wears an article of clothing and under what conditions. “In the apparel industry, there is really no data once the product leaves the store,” says CEO Janett Liriano. Companies have few ways of knowing whether buyers use or even like their products. It is also difficult to gauge demand, which leads to serious inventory issues and creates hundreds of billions of dollars in apparel waste every year. 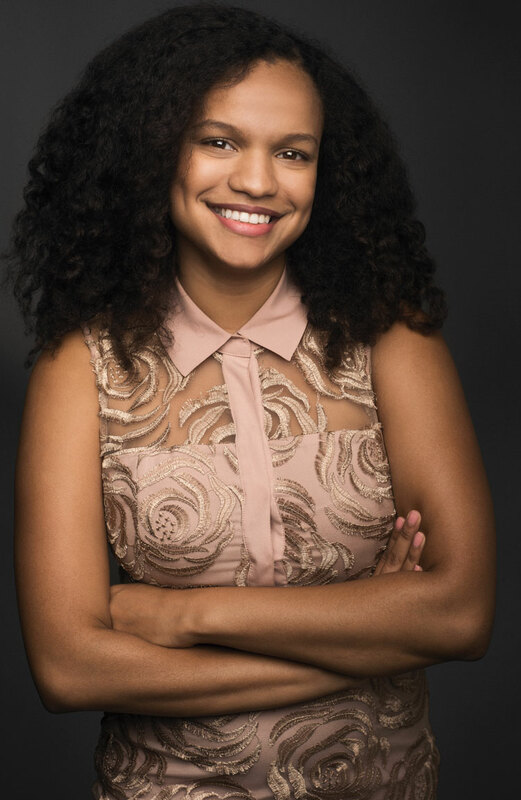 Photo of Loomia CEO Janett Liriano by Luke Fontana. She wants to empower users to sell the data created by their fabric. Rather than the company selling personal information to willing bidders, Liriano, formerly a master electrician at the Lincoln Center, wants to build a network using blockchain, the technology behind cryptocurrencies such as bitcoin. This will allow users to track the ownership, sale and trade of their data in a public and secure way. To accomplish all this, Liriano is using a new fundraising vehicle that is gaining popularity and raising big dollars. The initial coin offering, or token generation event (Liriano’s preferred term), allows accredited investors to bankroll the creation of a blockchain that will repay them in “coins” or “tokens” that can be used on the network or traded for other cryptocurrencies. Unlike an IPO, or initial public offering, an ICO does not confer equity in the company. As of late January, the company was in the accredited investor phase, and Liriano had not announced a firm launch date for her network, Loomia Tile. Loomia’s new data marketplace was part of the meteoric rise of ICOs last year. However, this novel approach brings with it many unanswered legal questions. While some see the ICO as a creative and legitimate means to raise funds, others view this digital gold rush as risky and ripe for scams. In either case, attorneys, companies and regulators are attempting to apply existing law to rein in bad actors, provide guidance and promote a growing technology. According to Coinschedule, an ICO information aggregator, in the 11 months preceding December 2017, more than 200 ICOs raised $3.9 billion in funds, a 39-fold increase over the same period in 2016. Some have raised stunning numbers. Bancor, a blockchain network liquidity market for tokens, raised $153 million in three hours. Status, a private messaging app, raised $90 million; and Filecoin, a blockchain-based storage network, raised an all-time ICO record of $257 million. Even the established communications app Kik, a tech “unicorn” valued at $1 billion, raised nearly $100 million during its 2017 ICO after it failed to raise revenue through advertising and brand partnerships. 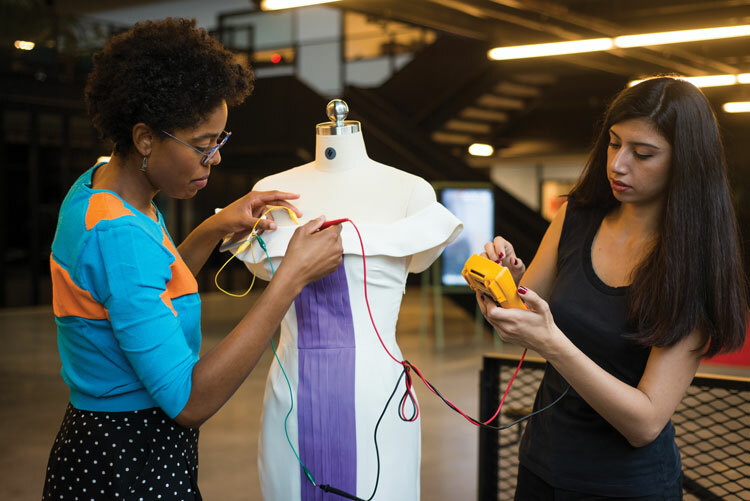 Loomia’s founder, Madison Maxey, and chief product officer, Ezgi Ucar, use a multimeter to test the circuitry inside a dress. Photo by Luke Fontana. Liriano says Loomia was made financially stable through sales contracts and some venture capital, so the choice to launch a token was part technical and part practical. “When you’re making a data application, there’s a choice you’re going to make” between storing the data yourself or using a decentralized, cloud-based method, she says. 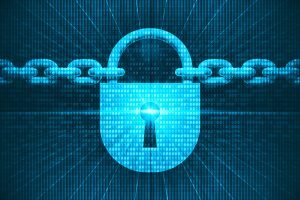 To her, blockchain’s decentralized nature was a meaningful way to address data security and storage issues. 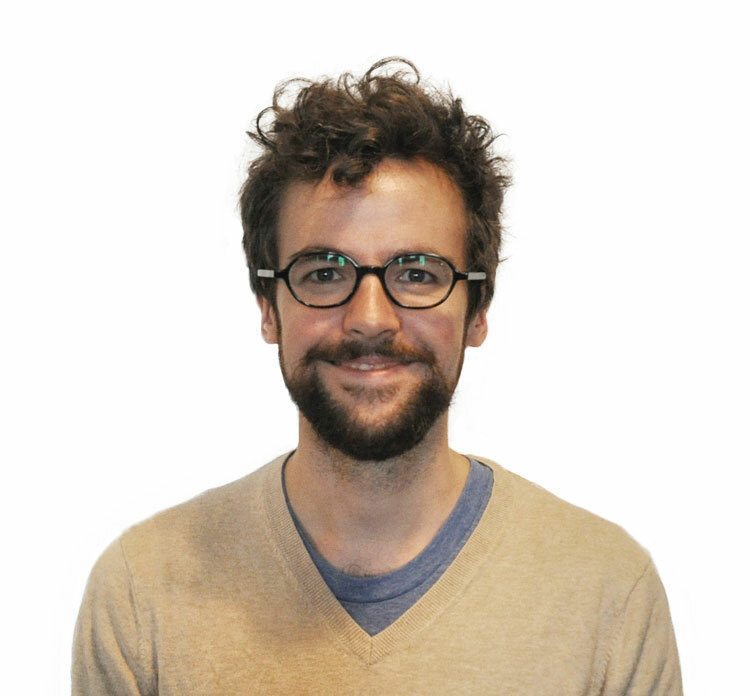 Peter Van Valkenburgh: “The internet never got classified as one thing, but the use of the internet could trigger different laws and agencies.” Photo courtesy of Coin Center. Beyond the technical components, she says the venture capital world has a bias against funding female and minority founders. By contrast, “the blockchain space is about the ability to execute and deliverables,” she says. Liriano and the company’s founder, Madison Maxey, are women of color. To understand Liriano’s technical interest in launching a token, it helps to get a grasp of its constituent parts: blockchain and cryptocurrency. 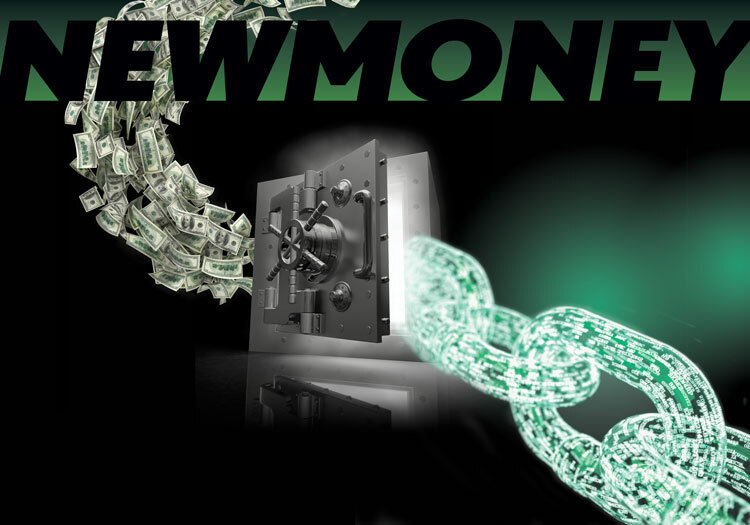 A blockchain is a public, distributed ledger that is replicated and hosted on numerous computers, creating thousands of digital carbon copies that give the system credibility and oversight needed to create a secure public list of an asset. That list can describe things such as identification, contracts or cryptocurrencies, which are scarce, virtual assets represented on a blockchain. The most well-known cryptocurrency, bitcoin, has captured headlines for its bubblelike valuation, climbing to nearly $20,000 last year only to fall over 40 percent in January. Beyond being a stand-in for money, other tokens and coins are used for their utility, like smart contracts on the Ethereum network. Due to its flexible application, federal agencies define cryptocurrency differently. The Internal Revenue Service sees it as property. The Commodity Futures Trading Commission defines it as a commodity. The Department of Treasury’s Financial Crimes Enforcement Network calls it “convertible virtual currency,” and the Securities and Exchange Commission says that, in some cases, a token is a security.